Rock Star Tri: My journey back to the endurance world frequently interrupted by life : I earned the shirt and the medal. Great job! Wind is the worst. Cool medal. Bundle up...good job getting through it; i imagine it was tough....looking forward to the full report. Nice job out there. 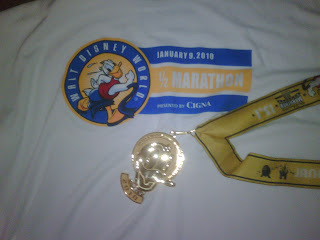 You definitely earned your medal out there in those elements. you earned it allright. those are some tough conditions. in florida? i thought you race down there in the winter to avoid all that crap? Congrats! Sorry the weather was so bad though!